Ranunculus ficaria,bummer. Had a question for you. What exactly are the laws pertaining to collecting natives on say urban waste areas like highway side medians or railroad tracks etc? anything? I collect and restore Milkweeds back to the wild,but I just collect the seed pods.I was thinking of starting a small native flower corner in my garden aswell, but want to collect some abused orphan plants:)thanks ,Michael! Hi Michael- Lesser Celandine is a really nasty plant. I should add that Marsh Marigold is typically found in high quality sites that have experienced little human disturbance. As far as your question goes, you would need permission to take plant material from whomever owned the land. The same laws apply to the plants growing on a property as anything else on their property. You can't take anything without their permission. 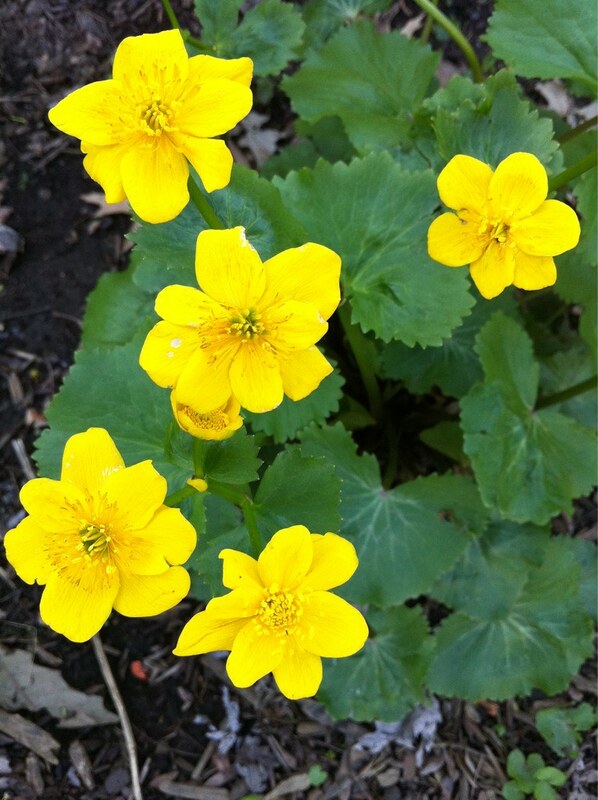 Cedar Bog is another great site to see marsh marigold in the spring. How fun that you got it to grow in your yard!